The instant DuckTales premiered in 1987, its theme song lodged itself permanently in the minds of everyone who heard it. So, with a new version of the show premiering this year, the worry was that Disney would mess with perfection. Thankfully, the tune has been left almost entirely intact. Disney XD not only released the new opening credits, complete with theme song, it also announced when the show would premiere. An hour-long movie will play for 24 consecutive hours on August 18. That’s right, the movie—called, of course, Woo-oo—will play 24 times in a row, which is roughly equivalent to how long it will take you to get the song out of your head. The series proper will premiere on September 23, with two new episodes airing back to back. 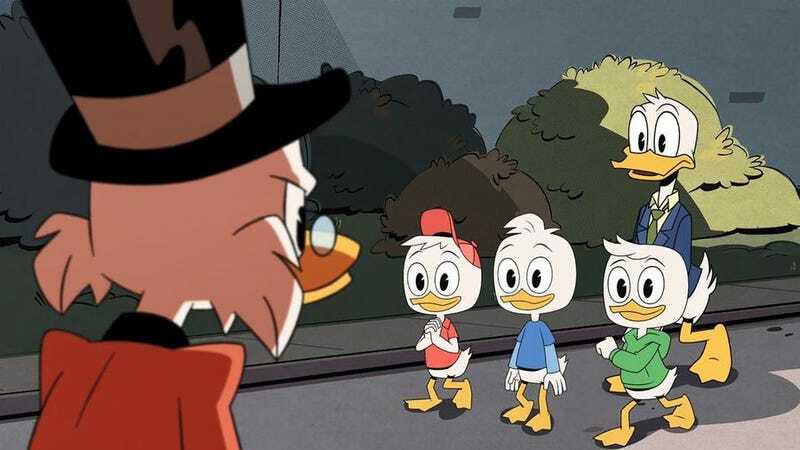 Get ready to return to Duckburg and get your ducking puns ready now.